Arizona Termite and Pest Control, Care-Free Termite LLC. Your termite and pest control specialist! Arizona Termite and Pest Control ~ Specializing in Termite Treatment, Termite Warranty Treatment, Termite Inspection for Commercial, Real Estate and Real Estate Resale. Specializing in Termite Warranty Treatments, Termite Inspections for Real Estate Resale and Termite Treatment for Real Estate Resale. "Carefree Termite exceeded my expectations in every way. They are friendly, helpful, extremely knowledgeable and offer straightforward pricing with no gimmicks. The technician performed the work in a professional manner and was a pleasure to have in my home. I recommend them without reservation to anyone looking for a highly qualified, affordable and trustworthy termite control service." "Thank you, the guy who came out to do the job did a very nice job. Very clean, I really appreciate that. I am a svc manager for my work and I know a lot of guys just want to get in and out as fast as possible. I really appreciate his hard work and thank him and you guys for a job well done! I will recommend your company to anybody I know that is in need of a treatment, thanks again and have a nice holiday season "
Top Qualities: Great hardwork. Highly Recommend. "I have been working with Care-Free Termite Protection, LLC for years now and would use no other company they are quick, dependable, well priced and honest. Can't ask for more"
"Scott and his excellent team at Care-Free Termite Protection, LLC have been providing stellar service for me since 2005. They have performed hundreds of termite inspections and I've never had a client complaint in all those service tasks. His inspectors are always on time and provide professional reports via email by the end of the work day which allows me to inform my clients of the results in a timely manner. When you need quality and timely service with termite and pest control, call them first and relax." "The owner Scott, support/administrative staff, the inspectors & service personnel of Care-Free Termite Company are a very efficient provider of termite inspections, termite treatments and general pest control. 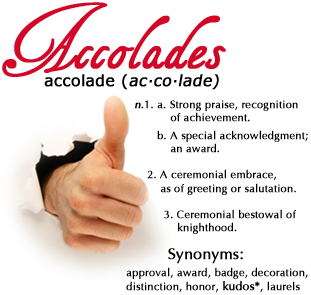 They are very personable, will accommodate your schedule and get timely reports out to you when needed. This is the third year that we have been utilizing their professional services and look forward to a continued great relationship." "I have known Scott for many years as a professional pest/termite inspector and treatment provider. He has always been amazing compared to any other I have known. He is professional, courteous, available, knowledgeable and informative to the clients. I have enjoyed working with him and will continue to do so." 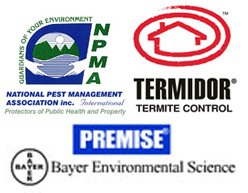 "Care-Free Termite is an excellent choice for your termite and pest control needs. They deliver great service with excellent results and at a very reasonable and competitive price. I've been working with them for many years now because they are trustworthy, consistent and reliable. I highly recommend them for your next termite or pest inspection or termite treatment." "When you are a realtor and you are asked to give a few options for termites inspection, you want to get it right. I have used Care-Free on several homes and will continue to use them. They are my go-to termite inspectors or if termites are found, they get my business first. Here's what I like about Care-Free Termite. They are available, they have a large enough team to get to my clients quickly. They are efficient, when there's termites, they find them. They are affordable. I have used other termite inspectors, just to see the competition work, and it was a costly mistake. I trust Care-Free to get the job done if needed as well as give a clear bill of health on any home that might not have any termite issues. I have a few horror stories of other termite inspectors and only good things to say about Care-Free Termite, so take that for what its worth."